A lot of people switch from Android to iPhone due to numerous reasons. Though, whenever we move from one smartphone to another, the first thing we do is transfer our contacts. Thankfully, there are plenty of Android to iPhone contacts transfer software that can help you do the same. By taking the assistance of these readily available apps, you can move your data from one smartphone to another in no time. In this guide, we will make you familiar with 5 best Android to iPhone contacts transfer apps and software. Read on and learn more about these solutions. dr.fone – Switch is undoubtedly the best Android to iPhone contacts transfer software that you can use. Since it is compatible with all the leading versions of iOS and Android (including iOS 11 and Android 8), you won’t face any issue using it. 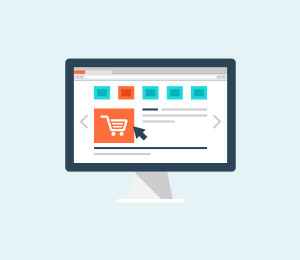 It follows an intuitive process and has a user-friendly interface. Here are some other features of this reliable Android to iPhone contacts transfer software. Provides a one-click direct phone to phone transfer process. 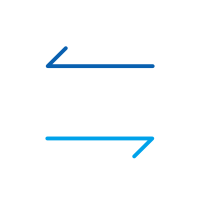 It supports iOS, Android, and Windows phones, allowing a seamless cross-platform transfer. Supports over 8000+ Android devices. Works for all models of iPhone, iPad and iPod. Using this Android to iPhone contacts transfer software is pretty easy. Simply launch the dr.fone and visit the “Switch” tool. After connecting your Android and iPhone to the system, the application will automatically detect your devices. The source phone should be Android and the destination should be an iPhone. You can use the “Flip” button to change their positions. Now, select the data you wish to move. Enable “Contacts” and click on the “Start Transfer” button to initiate the process. Within a few seconds, your contacts would be moved from your Android to iOS device. All of this makes dr.fone - Switch the best Android to iPhone contacts transfer software that you can use. Though, if you are looking for some alternative methods, then you can go through the next section. 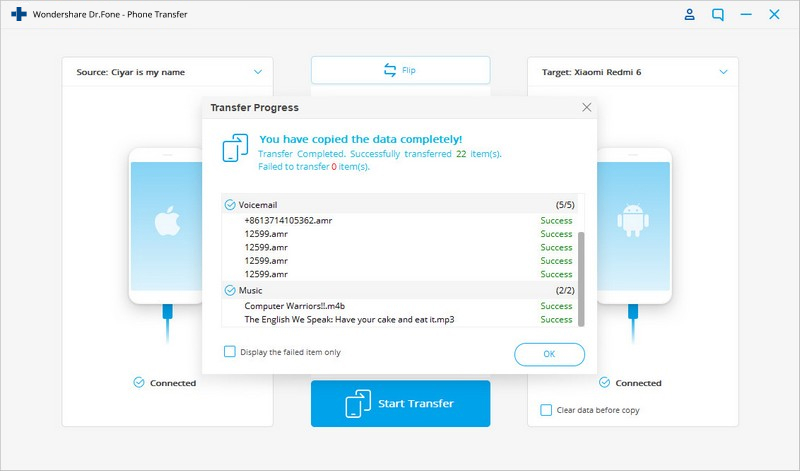 dr.fone is the fastest tool to transfer all kinds of data from one device to another. Nevertheless, if you want to try some other Android to iPhone contacts transfer app, then you can give these options a try. If you want to backup your contacts list and move it from one device to another, then you can try My Contacts. 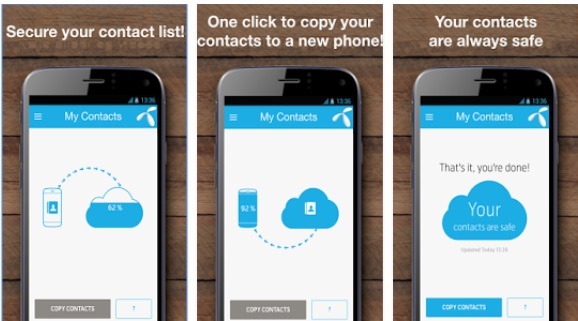 This Android to iPhone contacts transfer app works on both Android and iOS devices. It will also keep your contacts safe on the cloud. Therefore, you can first copy your contacts from Android to My Contacts and later use its app on your iPhone to extract them. •	It is an easy to use app which can help you transfer your contacts wirelessly. 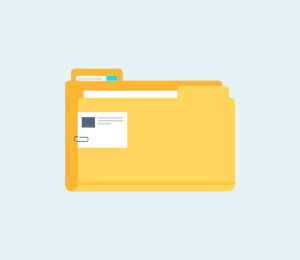 •	Besides transferring your contacts, it also keeps them safe by maintaining their backup. •	You can clean your contacts list by editing them or deleting the duplicate entries. •	The only drawback is that you can only transfer contacts and no other data type. 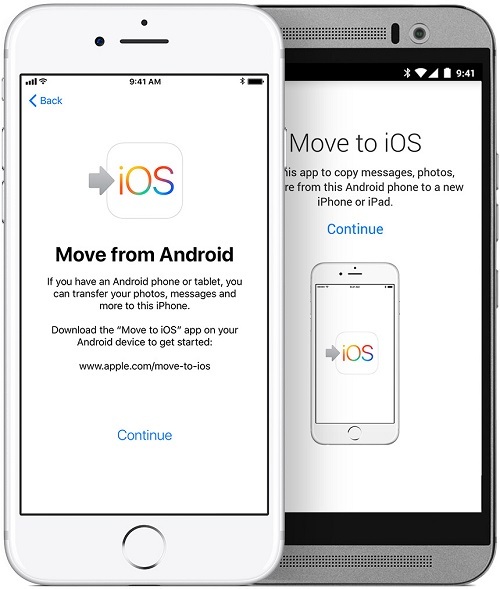 Move to iOS is the official app developed by Apple to help users switch from an Android to iOS device. Since it is developed by Apple, it is a highly secure Android to iPhone contacts transfer app. After maintaining a secure private WiFi direct connection, you can easily transfer your data. •	The app can only be used to transfer your content from Android to iOS while setting up a new iOS device. 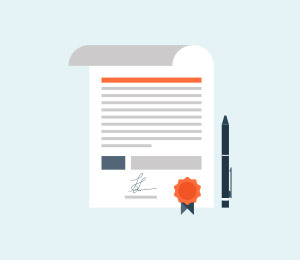 •	It can transfer your content over the air by establishing a secure private connection. •	It fully supports all Android devices running on Android 4.0 and later versions. Ideally, the InTouchApp is a smart contacts management tool that can be used to add “context” to your contact list. You can use it to describe your contacts, search them easily, set reminders, and more. You can also use InTouch as an Android to iPhone contacts transfer app as well, since it supports cross-platform syncing. 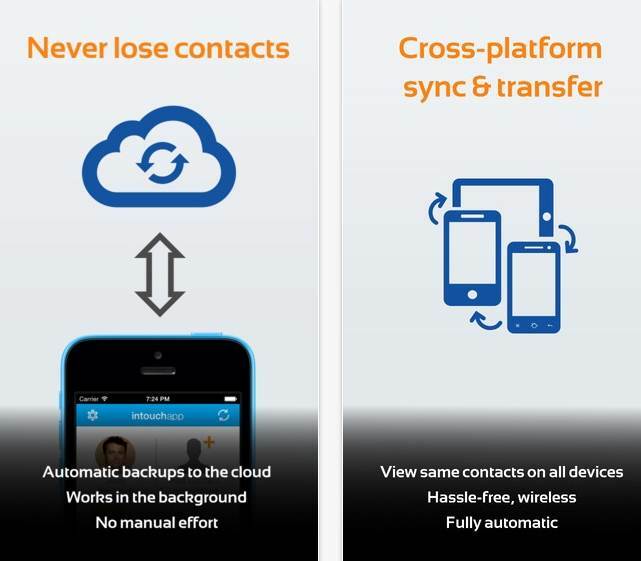 •	You can keep your contacts safe by taking their backup using this tool. 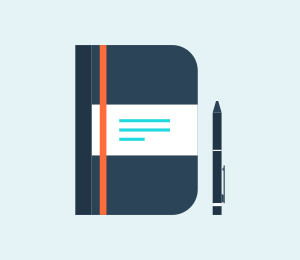 •	It can help you manage your contacts and make the most of your list. •	The app allows a seamless sharing of contacts between different devices. •	It is compatible with leading iOS, Android, BlackBerry, and Windows phone. Also, you can sync your device’s contacts with Outlook as well. Boosting an impressive number of over 1 billion downloads, SHAREit is one of the best ways to move your data from one platform to another. 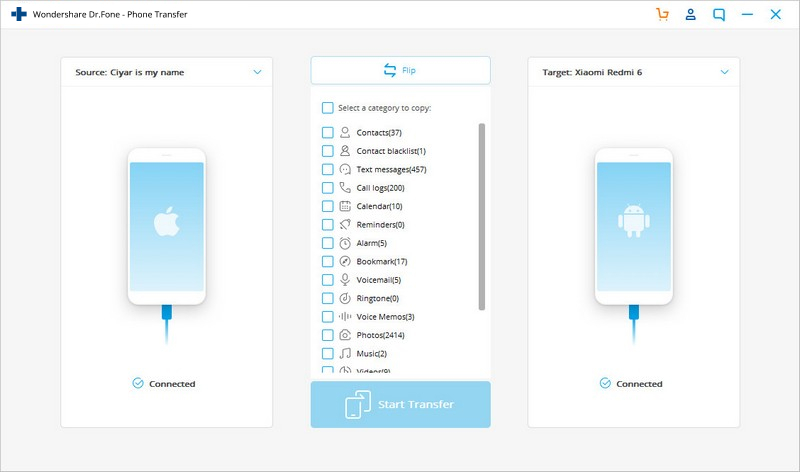 This Android to iPhone contacts transfer app claims to be 200 times faster than Bluetooth and establishes a secure Wifi-direct connection to transfer your data. 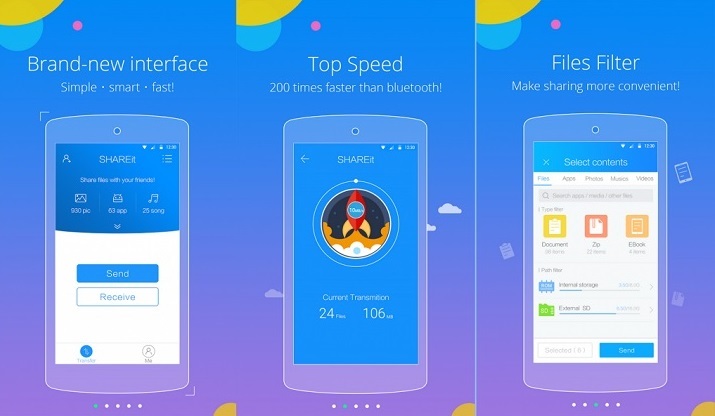 •	You can use SHAREit to move your contacts, photos, videos, messages, third-party app data, and other types of content. •	It has a sleek interface and is extremely easy to use. •	You can even backup your important content on the SHAREit Vault. 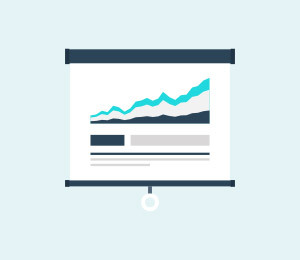 •	Group sharing feature is also provided. •	The app also has a section to discover video content, music, wallpapers, and more. After getting to know about these top 5 Android to iPhone contacts transfer software, you can easily complete the device transition without any data loss. Out of all the alternatives, we recommend dr.fone Switch. 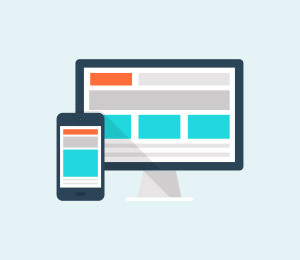 It provides the fastest and most secure option to move your content directly from one device to another with a single click. Go ahead and give it a try to move from Android to iPhone in a few minutes while keeping your data intact. Instead of wandering here and there to know how to get photos off iPhone, just read the article and explore 4 unique ways to transfer your photos.